Marcus Grace is Professor of Science Education and former Head of the Education School. He is a doctoral supervisor and teaches on undergraduate, Masters and postgraduate initial teacher training programmes. Before working at Southampton he taught science at comprehensive schools in London and was Headteacher at a Berlitz school in Tokyo. His main interests centre around learning and teaching about socio-scientific issues, particularly biodiversity conservation, health and wellbeing and environmental issues, and outdoor science education. His current work includes developing realistic ways of helping young people engage with outdoors to enhance their appreciation of the natural world and improve health-related attitudes and behaviour. He is Co-Director of LifeLab, a purpose built classroom at Southampton General Hospital which helps teenagers learn about making healthy choices for themselves and for their future children. 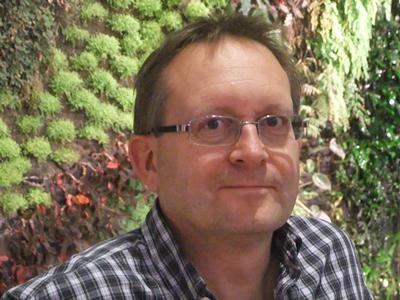 Marcus is Chair of the Academic Committee of ERIDOB (European Research in Didactics of Biology), and Chair of the UK Biology Education Research Group (BERG), a Royal Society of Biology special interest group. In recent years, Marcus has received science and health education related research grants from AstraZeneca, BUPA, the UK Department for Education, the Research Councils UK, the Wellcome Trust, the Education Endowment Foundation, the European Union and the World Universities Network, among others. He is on the editorial boards of the Journal of Biological Education and the International Journal of Science Education, and he has researched and published widely on education for socio-scientific issues with colleagues in the UK, Cyprus, France, Germany, Hong Kong, New Zealand, Sweden and the US. This is a three year cluster-randomised controlled trial funded by Bupa to evaluate the methodology used to deliver the partner LifeLab programme in Southampton and the LENScience programme in Auckland. Both programmes combine school-based and university/hospital-based activities for teenagers aimed at producing sustained change in health-related attitudes and behaviour. Its novelty derives from educational research on how to promote science literacy for health, using an interactive approach which makes learning context-specific, relevant and student-centred. It includes hands-on activities and interactions with university/hospital research scientists. Students and their teachers access real ‘stories' of science, and explore underlying socio-economic influences on health behaviour. Interaction with ongoing research allows students to enter the culture of science. Activities include measuring cardiovascular effects of exercise, carotid artery wall thickness, bone density, muscle function, placental transport and extraction of their own DNA to explore how lifestyle affects gene function. In pilot work, improved health-related attitudes and behaviour were observed in adolescents, and they were seen to act as agents of change within their families. Funded by the Strategic Interdisciplinary Research Development Funding from the University’s Faculty of Social Sciences to measure teenagers’ health literacy around alcohol. The project will work with school students who visit LifeLab. This is a joint project carried out by staff in Southampton Education School, the School of Medicine, the School of Geography and the Wessex Alcohol Research Collaborative. The study aims to i) define and measure baseline aspects of ‘alcohol health literacy’ among teenagers, and ii) use this data to begin developing a personalised computer based teaching activity which raises students’ awareness of their response to alcohol related cues. This is a precursor to a wider research study developing teaching activities to modify students’ attitudes towards drinking and initiate action to overcome personal and social barriers. Awareness of ‘manipulation’ by drinks promotions. This information will be used to design and trial a computer based teaching activity for teenagers. Guest Editor for the School Science Review 2010 issue on Education for Sustainable Development. Cebrián, G., Grace, M., & Humphris, D. (Accepted/In press). Academic staff engagement in Education for Sustainable Development. Journal of Cleaner Production. Grace, M., & Bay, J. (2011). Developing a pedagogy to support science for health literacy. Asia-Pacific Forum on Science Learning and Teaching, 12(2). Grace, M., Hanley, P., & Johnson, S. (2008). ‘Darwin-inspired’ science: teachers’ views, approaches and needs. School Science Review, 90(331), 71-77. Grace, M., & Hare, T. (2008). How conservation scientists work. School Science Review, 90(330), 47-52. Grace, M., Hanley, P., Johnson, S., & Sanders, A. (2008). What do teachers think about ‘Darwin-inspired’ science? Science Teacher Education, 52, 33-35. Grace, M. (2006). Teaching citizenship through science: socio-scientific issues as an important component of citizenship. Prospero, 12(3), 42-53. Dillon, J., Grace, M., & Oulton, C. (2004). Some critical reflections on the teaching of controversial issues in science education. Development Education Journal, 10(3), 3-6. Grace, M., & Sharp, J. (2000). Young people’s views on the importance of biodiversity conservation. School Science Review, 81(298), 49-56. Grace, M. (1995). A key to the growth-forms of mosses and liverworts and guide to their educational value. Journal of Biological Education, 29(4), 272-278. Rietdijk, W., Grace, M., & Garrett, C. (Eds.) (2012). Action research for physics case studies. Southampton Education School. Ratcliffe, M., & Grace, M. (2003). Science education for citizenship. Maidenhead, UK: Open University. Cebrián, G., Grace, M., & Humphris, D. (2012). Developing people and transforming the curriculum: action research as a method to foster professional and curriculum development in Education for Sustainable Development in Higher Education. In W. Leal Filho (Ed. ), Sustainable Development at Universities: New Horizons (pp. 273-283). Berlin, DE: Peter Lang Scientific Publishers. Marcus, G. (2010). Science for citizenship. In J. Frost (Ed. ), Learning to Teach Science in the Secondary School. 3rd edition (pp. 218-232). Routledge. Grace, M., & Ratcliffe, M. (2003). Making decisions about biological conservation issues in peer group discussion. In D. Psillos, P. Kariotoglou, V. Tselfes, E. Hatzikraniotis, G. Fassoulopoulos, & M. Kallery (Eds. ), Science Education Research in the Knowledge-Based Society (pp. 241-247). Dordrecht, The Netherlands: Kluwer Academic Publishers. Rietdijk, W., Christodoulou, A., Davies, P., Grace, M., Levinson, R., & Nicholl, J. (2017). Mapping controversies: A pedagogical approach for communicating about socioscientific issues. Paper presented at 48th Annual Australasian Science Education Research Association Conference 2017, Sydney, Australia. Nicholl, J., Christodoulou, A., Davies, P., Grace, M., & Levinson, R. (2015). Mapping controversies: pre-service teachers' mapping of a controversial socio-scientific issue. Paper presented at European Science Education Research Association (ESERA), Finland. Adams, J., Woods-Townsend, K., Grace, M., Warner, M., Bowen, C., McQueen, P., ... Stokes, C. (2015). Raising teenagers’ awareness of musculoskeletal health through LifeLab: a collaboration between school students, teachers and clinical academic researchers. Paper presented at The British Society for Rheumatology (BSR), United Kingdom. Rietdijk, W., Garrett, C., & Grace, M. (2013). Teacher professional development in action research in the secondary physics classroom: evaluation and impact. Paper presented at 10th Biannual Conference of the European Science Education Research Association (ESERA), Cyprus. Rietdijk, W., Garrett, C., & Grace, M. (2012). Evaluating the national “Action Research for Physics” programme - follow up of impact on post-16 physics uptake. Paper presented at UK Science Education Research Conference – Researchers Sharing with Researchers, United Kingdom. Rietdijk, W., Grace, M., & Garrett, C. (2011). Action Research for Physics Programme Final Report. National Science Learning Centre. Rietdijk, W., & Grace, M. (2011). Evaluation of Pre-16 Students’ Work Experience Placements in Science, Technology, Engineering and Maths (STEM) Final Report. England, GB: National HE STEM Programme.